Do you find yourself avoiding interactions because of fears of embarrassment or rejection? Would you rather spent your time alone because you derive little joy from your social and family relationships? If you would describe yourself as an introvert and answered yes to either of these questions, then you might have a longstanding schizoid or avoidant personality disoder. If being unhappy in social situations has led to a decrease in the quality of your life, it is time to get help. Is avoidant personality disorder causing you to be unhappy in social situations? There are many reasons why one may begin to avoid social situations, but if you have avoidant personality disorder, your fear of embarrassment and sensitivity to rejection may be driving you to avoid social interactions with others. If you find yourself avoiding interactions with others, prefer to spend your time alone, or if it is difficult to derive joy from your social or family relationships, then you might have a longstanding schizoid or avoidant personality disorder. The good news is that avoidant personality disorder is something that can be managed. Instead of leading a life of isolation and feeling alone, you can learn to adapt to social situations with the help of therapy. 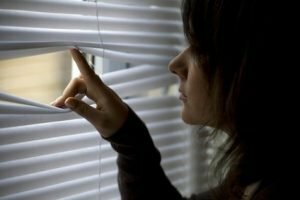 Why seek help for avoidant personality disorder? If you define yourself as an introvert and you have avoidant personality disorder, the effects on your quality of life can be far reaching, leaving you feeling inadequate and isolated. Avoiding interpersonal interaction can also lead to problems in your workplace. Dr. Winarick can work with you to develop more adaptive traits, which can help you create a better quality of life. You can stop avoidant personality disorder from defining your happiness and your satisfaction in life. Call today to make an appointment with Dr. Winarick, or just fill out the contact form and click Send.